While vineyards have displaced some of Sonoma County’s fabled fruit orchards, the county is still a paradise for the fresh produce lover. The largest concentration of growers are in the Sebastopol and Russian River areas. Throughout the year, Farm Trails hosts a variety of events to connect with local farmers. August brings the Gravenstein Apple Fair dedicated to the famous heirloom apples. 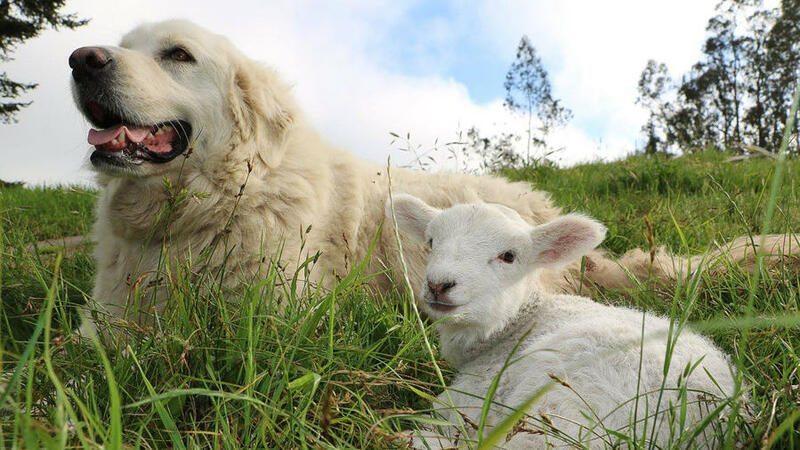 Sonoma County farmers open their gates to visitors for a peek at life on the farm in September. farmtrails.org; 707/837-8896. For Russian River locals, Johnson’s Beach is the quintessential summer spot. Swim, sunbathe, or float in the river setting nestled among redwoods. 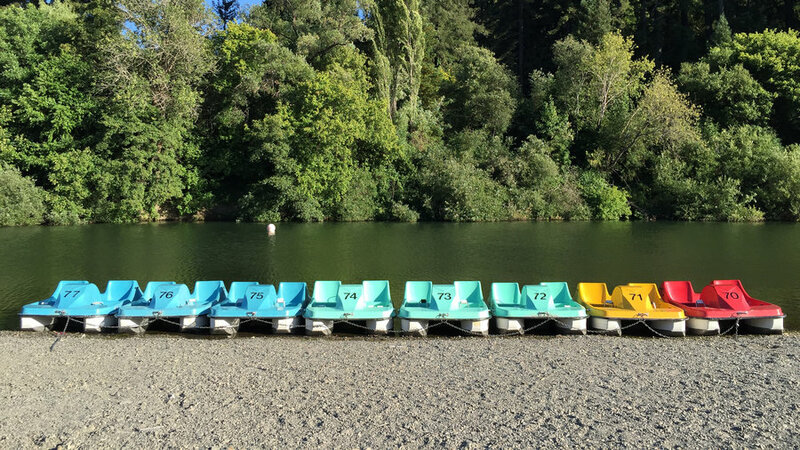 The sunny spot has been a seasonal tradition for Guerneville for nearly 100 years. Feast at the snack bar, rent a paddle boat, and lounge under a blue umbrella for a good time by the water. johnsonsbeach.com; 16215 and 16217 First Street, Guerneville; 707/869-2022. If your idea of heaven is a cedar enzyme bath followed by a Zen harmony facial, then this soothing Asian-influenced day spa is the place for you. Immerse your body in a bed of ground cedar, warmed biologically by fermentation. Benefits include boosted metabolism and circulation. After the bath, receive sound therapy in a field of hammocks. osmosis.com; 209 Bohemian Highway, Freestone; 707/823-8231. Coast redwoods tower over Armstrong alongside the Russian River. They serve as a living example of what the forest that covered much of the area looked like before 19th century logging operations invaded. The Natural Reserve preserves Sequoia sempervirens. Half a mile from the park entrance, you’ll find the 1,400-year-old Colonel Armstrong Tree. Just before it, spot the tallest tree there, the Parson Jones Tree, at 310 feet, longer than a football field. Beside Armstrong is Austin Creek State Recreation Area, whose more open terrain has camp sites. 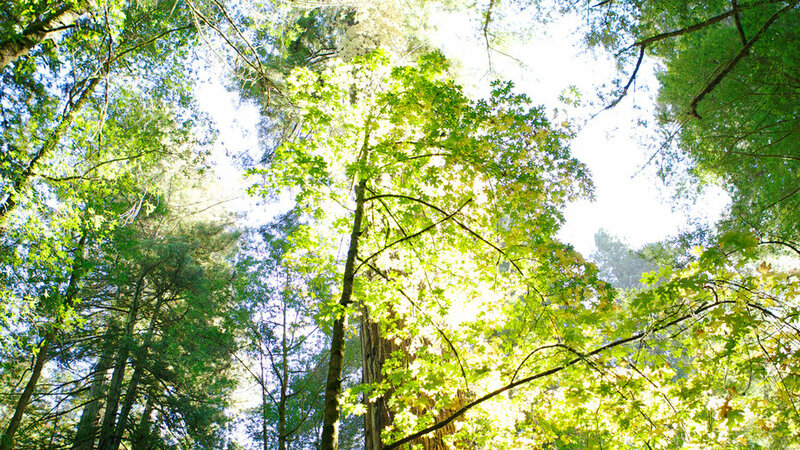 parks.ca.gov; 17000 Armstrong Woods Road, Guerneville; 707/869-2015. 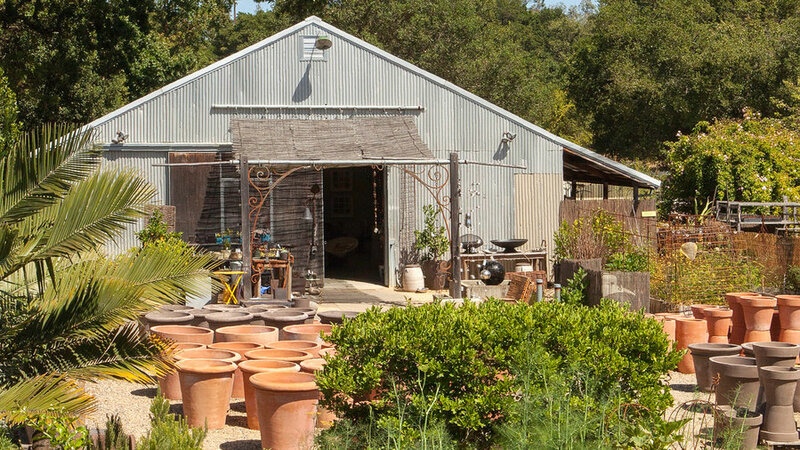 Opened in 1984 as a Berkeley storefront, The Gardener Healdsburg features lots of outdoor furniture and a garden that'll make you green with envy. Start in the yard where sculptures and fountains are displayed in a field of flowers. Venture inside the barn to find Japanese scissors for cutting flowers, ceramic pots from local makers, or pure lavender soap. They’ve got everything a garden lover could want. thegardener.com; 516 Dry Creek Rd., Healdsburg; 707/431-1063. 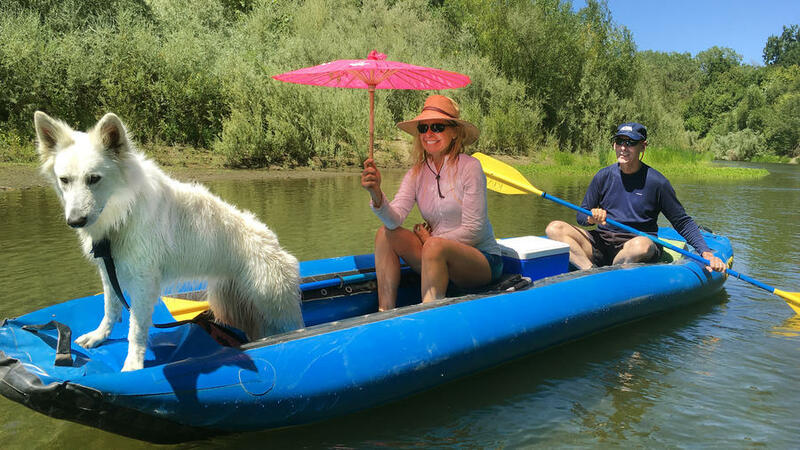 Generations of Northern Californians have first put paddle to water here on the Russian River. Outfitters include Burke’s Canoe Trips (burkescanoetrips.com; 8600 River Road, Forestville; 707/887-1222), River’s Edge Kayak & Canoe Trips (riversedgekayakandcanoe.com; 13840 Healdsburg Avenue, Healdsburg; 707/433-7247), and Russian River Adventures (russianriveradventures.com; 20 Healdsburg Avenue, Healdsburg; 707/433-5599). Shop where the local celebrity chefs buy their produce. 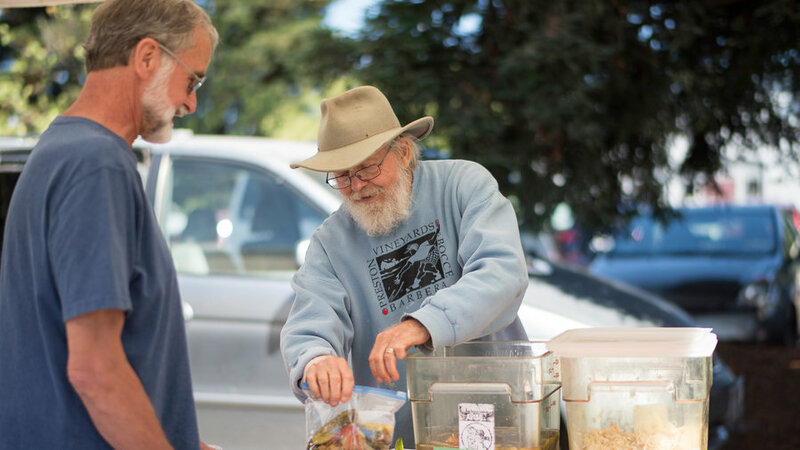 Founded in 1978, it’s one of the original 22 Certified Farmers’ Markets in California. All of the farms at this market come from within 10 miles of Healdsburg Plaza. Offerings include fruits, veggies, cheese, honey, wild fish, olive oil, and fresh eggs. healdsburgfarmersmarket.org; Healdsburg city parking lot at North and Vine Streets; 9-noon Sat, May through Nov; 3-6 Wed, June through Oct.